The 173rd meeting of the Organization of the Petroleum Exporting Countries (OPEC) ended today in Vienna, Austria and extended its current production agreement entered with participating Non-OPEC oil producers for another 9 months and the Declaration of Cooperation amended to take effect for the whole year of 2018 from January to December 2018. Nigeria and Libya have committed to join the production reduction agreement once they are able to produce collectively a volume of 2.8 million barrels per day with Nigeria put at 1.8 million barrels per day and Libya, 1 million barrels per day. The Conference in taking the decision to roll over current agreement noted the positive indication of growth in global GDP as well as improved oil demand. It also cited the rising Non-OPEC oil supplies and increasing OECD oil stock depletion as a clear pointer to global economic stability. Dr. Emmanuel Ibe Kachikwu, Nigeria’s Minister of State for Petroleum Resources, at the Conference, welcomed the outcome of the meeting and pledged Nigeria’s commitment to meeting its obligation towards producing 1.8 million barrels per day less Nigeria’s condensate output which is not counted in the OPEC quota calculation. 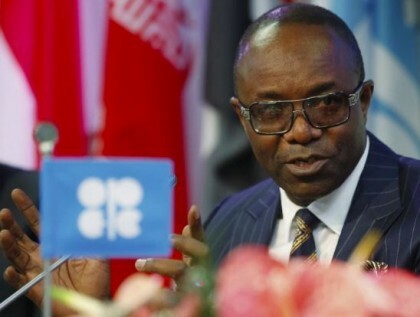 Minister Kachikwu said nonetheless, for Nigeria to benefit maximally from the current production exemption and to encourage and improve upstream investment, the need for the country to reduce its production cost per barrel is imperative. He said he will continue to push upstream operating companies in Nigeria to reduce production cost per barrel to ensure full advantage of the benefit and value for Nigeria.